The fourth entry into the Pirates of the Caribbean series, once again follows Captain Jack Sparrow, this time roped into leading Blackbeard and his daughter to the Fountain of Youth. However, they face competition from the British Navy, fronted by old nemesis Barbossa, as well as the Spanish Armada. Fortunately, On Stranger Tides is one of the better entries into the Pirates series, however, it is not without several faults. Without the inclusion of Orlando Bloom and Keira Knightley, the film does feel like more of a Captain Jack spin-off – which is completely welcome; their characters are not missed in the slightest. Most fans will be glad to know that most of the interesting supporting characters from the series are returning – Geoffrey Rush’s Barbossa, Kevin McNally as Gibbs and another cameo from Keith Richards as Jack’s father, Captain Teague. 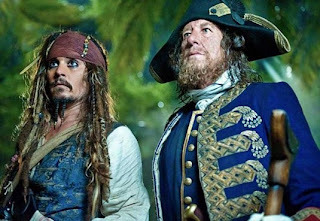 Unfortunately, Depp and Rush don’t have a huge amount of screen time together – but the scenes they share are amongst the film’s best (such as one where both end up held prisoner in the Spaniards camp). Several new inclusions into the cast also appear as an attempt to rejuvenate the franchise, these are met with mixed success. Newcomers Sam Claffin and Astrid Berges-Frisbey are the obvious replacement for Bloom and Knightley, and both do a damn site better. Claffin appears as the only virtuous character, a young holyman, whilst Berges-Frisbey shines playing a captive mermaid. 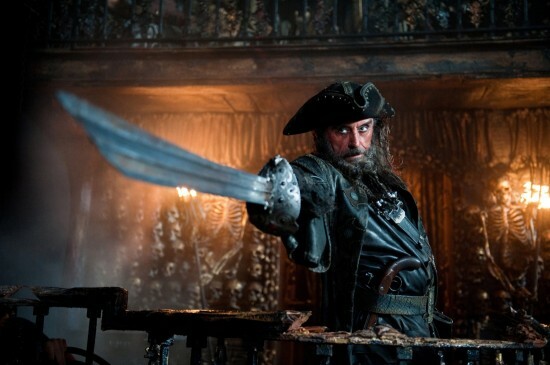 The addition of Ian McShane as Blackbeard is perfect casting, McShane hams it up - giving the most memorable performance of the film. Unfortunately, Penelope Cruz seems extremely miscast – there’s a limit as to how many times I can watch her act ‘fiesty’ and the performance just did not gel with the film. Cruz and Depp do not really ignite the screen together with the romance between the two characters not overly believable. On Stranger Tides feels slightly more low-key than the previous entries, this largely works to its advantage, making the film feel slightly more grounded than the jam packed At World’s End. However, it still does feature quite a bit action which at points does seem slightly tedious – only so much interest can be generated by repeated swordfights. Although, there are still some strong set pieces like Sparrow escaping from an encounter with Richard Griffith’s George II which leads on to an entertaining cameo from Dame Judi Dench. Overall, On Stranger Tides is a stronger and more grounded effort than the previous sequels in the series and is quite successful in its attempt to rejuvenate the franchise. Most of the newcomers help with this; however, the film does suffer from some dull action sequences, a lack of clear direction and style as well as a rehashed script.